When she began playing sports as a youngster, around the age of seven, one of the first sports Thea Rabman tried was softball. Despite being good, it didn’t take because, as Rabman says, it was too slow. That’s when tennis entered the picture. Rabman was a natural and quickly developed her skills for the sport, beginning her training at Sportime, where she continues to play to this day. Lumpkin, who has worked with a number of top junior players over the years, says Rabman has a work ethic that is second to none. 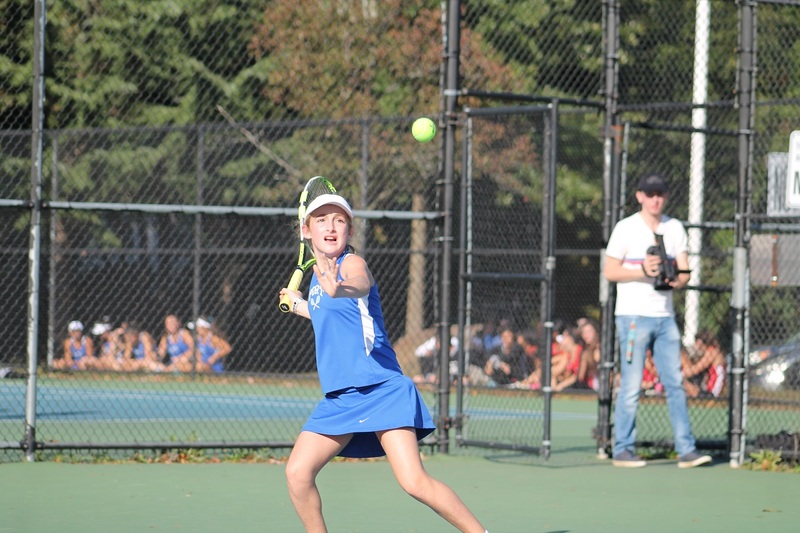 For the past two seasons, Rabman has been the leader of the Port Washington Girls Tennis team, anchoring the Vikings to a 32-match winning streak and a Long Island Championship during that span. Despite still only being in eighth grade, Rabman has played first singles for Port Washington each of the last two seasons. Playing against older and stronger girls is something Rabman has been used to, both in high school and in tournament play, and has resulted in her possessing a strong defensive and return game. Her fall season has been packed with tournaments and she has fared quite well in them, including winning titles at the L1B Sportime Randall’s Island September Challenger, L1 September Championships at CourtSense Bogota and the Eastern Sweet 16 at New York Tennis Club in singles, and capturing a doubles title at both the Empire Cup Nationals at Cornell University and the Empire Cup Nationals at Sportime Schenectady. Being able to win big tournaments like those is the result of a lot of hard work, as well being able to learn from the tournaments she didn’t win. Still just in eighth grade, there is plenty of tennis left in store for Rabman. While she has won many notable junior tournaments already, she does have one specific goal for this coming year. In order to do so, Rabman knows she needs to continue working on aspects of her game to develop into the consistent player she wants to be. Her main focus in recent years has been the development of her serve, something she says she has seen a lot of improvement in. As Rabman’s already polished game continues to improve and she gets older, there is no telling just how good a player she can be. 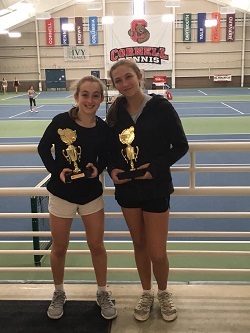 She plans on playing for Port Washington again next fall, when she begins her freshman year of high school, and hopes to continue to build on her tournament success.